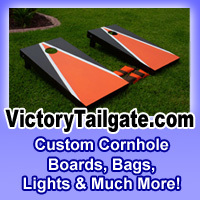 Scoring Devices, for lawn, yard, tailgating and outdoor games come in a variety of types. One of the first to make it's mark on the gaming industry was the Scoretower. These days there are a wide variety of outdoor game scoring options as you will see below.